Let's talk about books! In this book club for beginning readers we will talk about a different book each month and then do a fun activity based on the book! For ages 5-7. 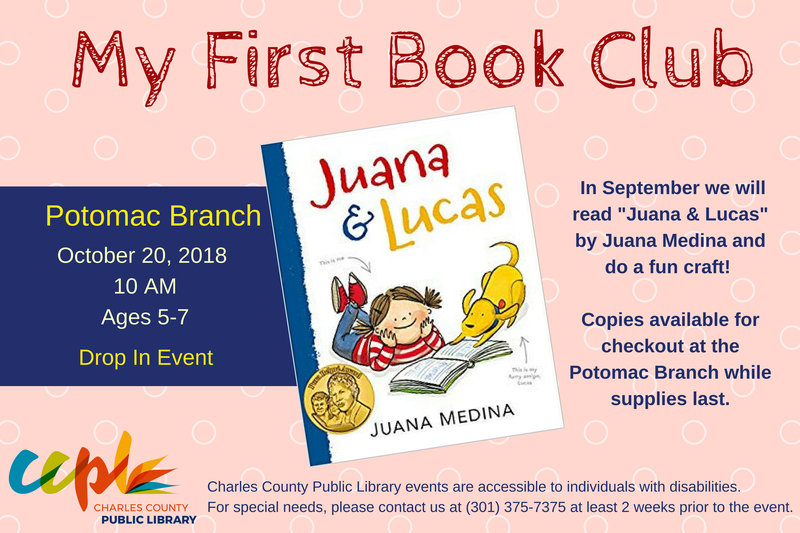 In October we will read "Juana & Lucas" by Juana Medina. Copies available for checkout at the Potomac Branch while supplies last.